containing or using only one color. Sporting all of one color can be risky (unless its black). Some great attributes to wearing a monochromatic look come in the form of appearing slim and tall! 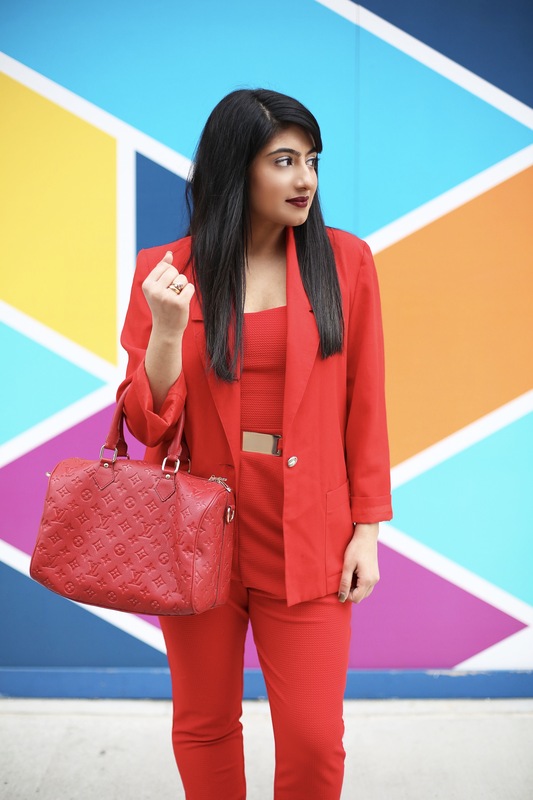 I’m going to give you 4 things to think about when you pick out your monochromatic outfit! Layers: There’s no need to run to the store to buy various pieces that match! layering different items right from your closet will give your monochromatic look different dimension! 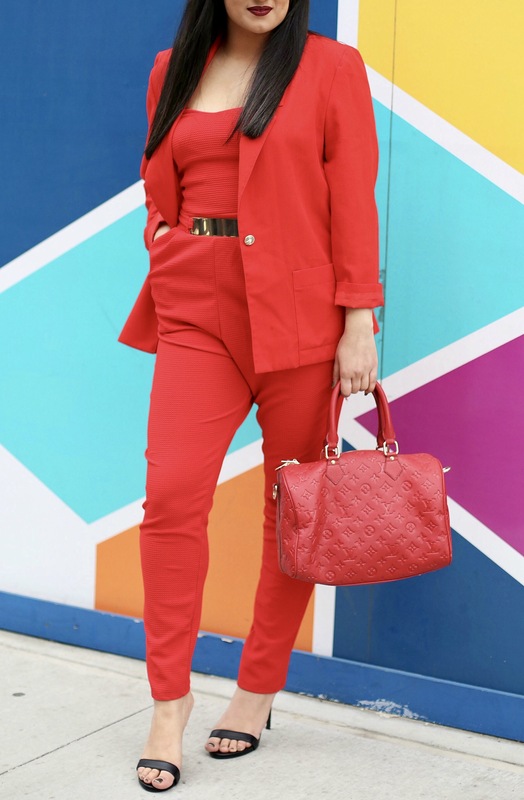 Personally, I have wider hips so I chose to layer my jumpsuit with a blazer to take away some of the attention from that area. Also, the built in belt helped to add some shape to my waist! Textures: Another way to give your monochromatic look some pizazz is to pair different textures and patterns together. If you look close enough, you can see that my jump suit has a lined pattern that helped to distinguish my blazer from my jumpsuit. 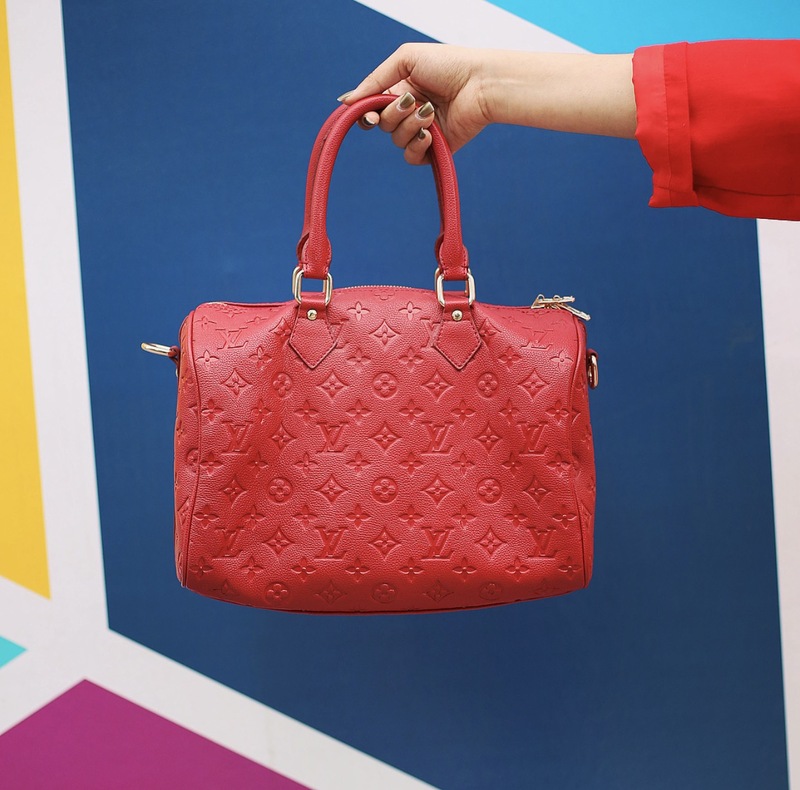 Of course, right in time for spring, I also added in my all red patterned Louis Vuitton bag! Balance: Wearing one color is tricky. You want to make sure that the color isn’t overwhelming. I decided to pair my outfit with some black heels to offset all of the red. I felt that going with red shoes would be unbalanced and overwhelming. The built in gold belt also helped to add another accent to the look without taking away from the monochromatic vibe I was going for. Color Scheme: Last but not least, you want to make sure that you choose a color that goes with your skin tone! 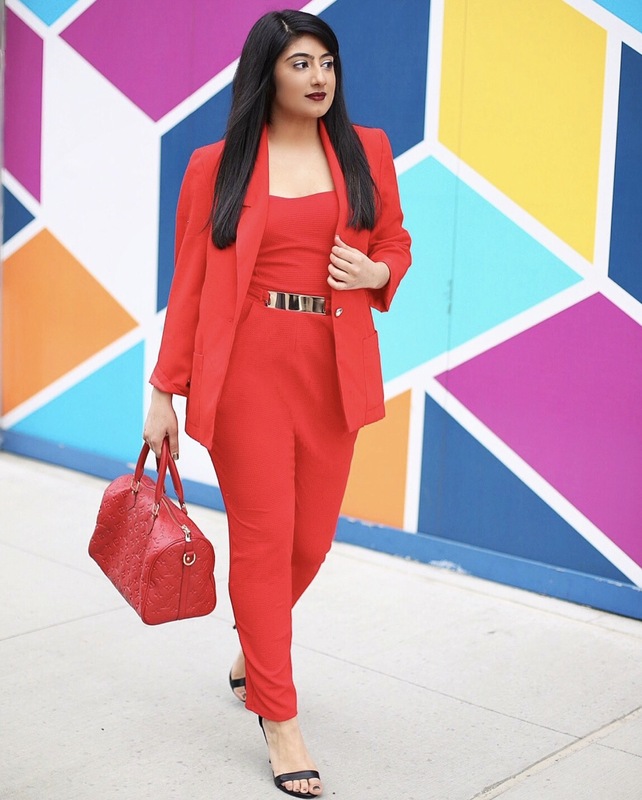 Red has always popped well on my skin, and I love to incorporate it in many different looks! This look is by far my fave! I hope some of these tips are helpful! Very good site,thank so much for your effort in writing the posts.